The Bower 46mm Digital HD Circular Polarizer Filter helps to reduce reflections and glare by filtering out light that has become polarized due to reflection from a non-metallic surface. This results in a noticeable increase in the saturation of skies and foliage, as well as clearer imagery when photographing in hazy conditions. A circular polarizer differs from a linear polarizer in that it supports full use of a camera's autofocus and auto exposure functions. 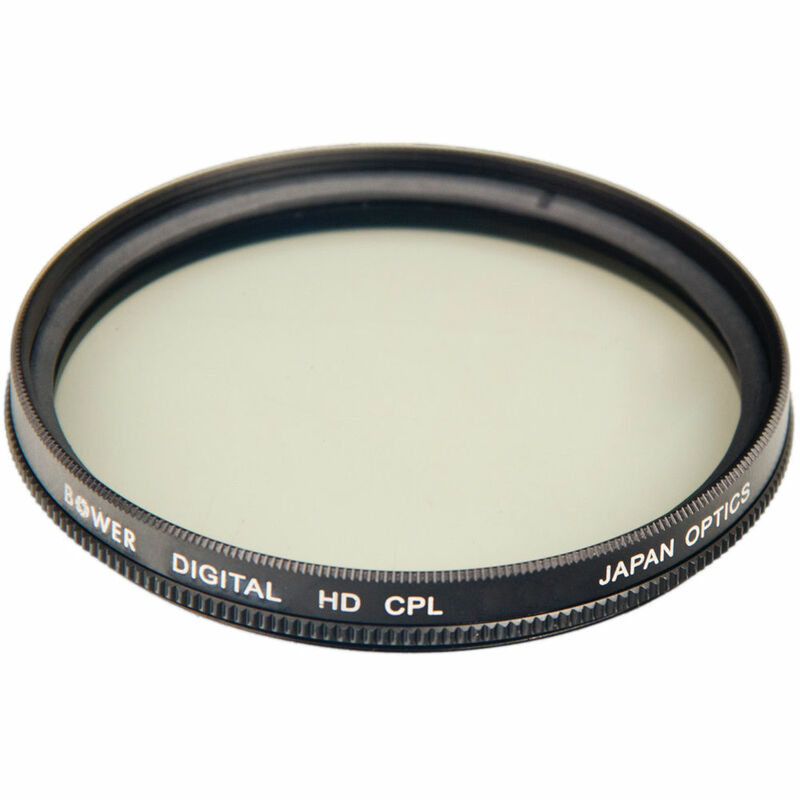 46mm Digital HD Circular Polarizer Filter is rated 4.0 out of 5 by 1. Rated 4 out of 5 by EAP from Cost effective circular polarizer I have this on a Pentax Optio WG-2. The camera is ruggedized with an internal lens, but has a 46mm threaded clip-on ring. I added this to keep the glass cover over the lens cleaner, and to add some functionality that a CP offers. Seems to be good build quality and works well, though the knurled ring where you hold to screw the filter down is a little hard to grip if you want to tighten it down well. I haven't used any really high end CP's, so I can't directly compare this to them. I only wish it could come in a better case to store it more easily in a small camera bag. I recently used this at Mystic Aquarium in both indoor and outdoor exhibits. It seemed to work well. However, because my camera does not have a viewfinder, having the filter on while panning the camera while in burst shooting mode produced some photos where the filter was not set correctly, as I can't look through a viewfinder, pan, and turn the ring simultaneously. For the landscape, portrait, and water shots that I used this for it worked out well, especially for eliminating glare when shooting through glass tanks.